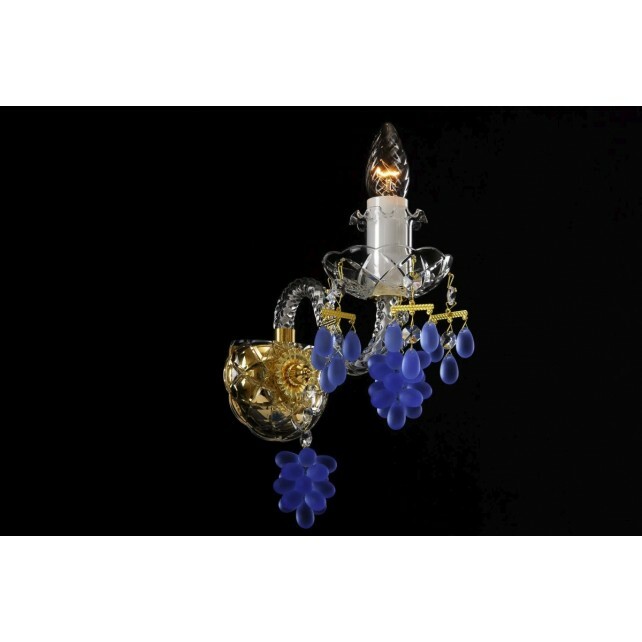 The smallest crystal one-light wall light ornamented with grape-shaped trimmings. 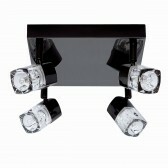 The trimmings are available in white, blue, green, violet, pink and yellow. 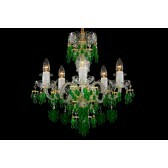 The neutral crystal combined with coloured trimmings is especially suitable for interiors with coloured decorations. 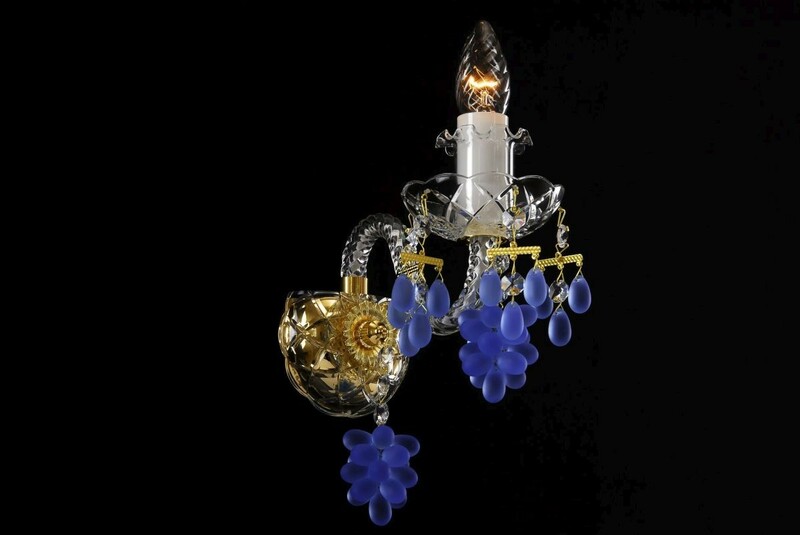 The wall lamp can be combined with five-arm or six-arm chandeliers that have similar design and same colour of grape trimmings. 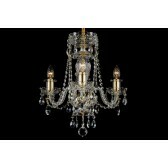 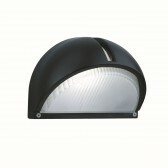 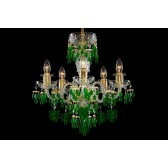 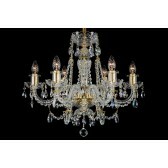 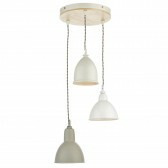 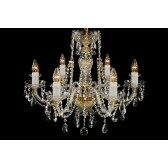 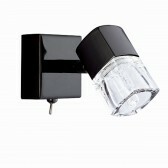 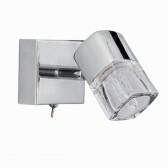 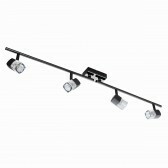 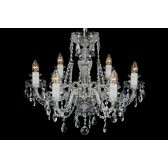 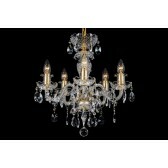 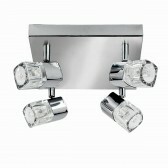 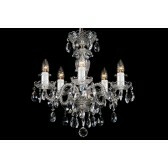 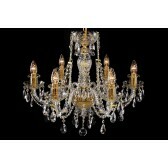 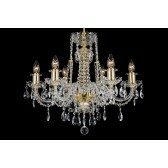 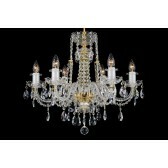 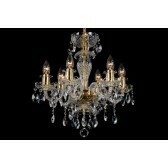 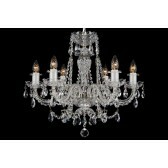 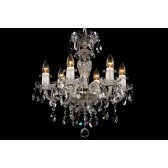 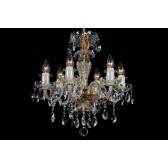 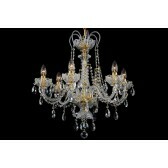 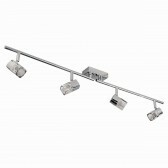 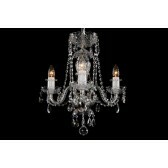 It can be also complemented by larger two-arm crystal wall lights of the same colour.